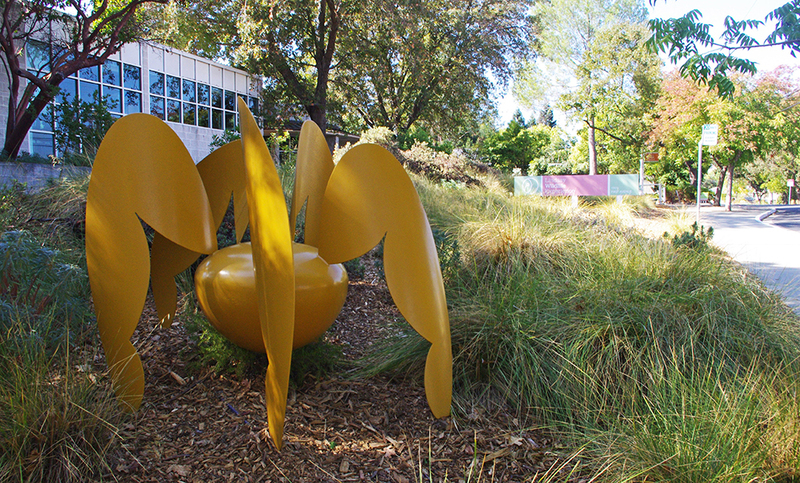 The spider-like shape of Pentarachnid appears to be crawling down the hillside, injecting an anticipatory energy for both children and adults as they approach the main entrance to the Lindsay Wildlife Experience in Walnut Creek, California, a museum and hospital whose mission is to connect people with wildlife. Three more pieces are part of the exhibition, including a biomorphic lime green bench that creeps along the ground and a backless bench with large wing elements that create a sense that it’s about to take flight. An orange asymmetric love seat sits outside the animal hospital entrance. To find out more Contact Us today. This entry was posted in Blog and tagged ColinSelig.